Already Home is like a slice of warm, apple pie…tasty and satisfying! Jenna Stevens has moved back home to Texas. After splitting from her ex. Jenna is ready for a brand, new start. What she didn’t expect was to purchase a building. It sounded like a good idea when Jenna purchased the place. She was going to open up a store and sell all kitchen supplies. There is just one problem…Jenna does not know the first thing about retail. Besides Jenna is better in the kitchen. Lucky for Jenna, she finds Violet. Violet has lots of retail experience. Now if only Violet can help teach Jenna to loosen up some. 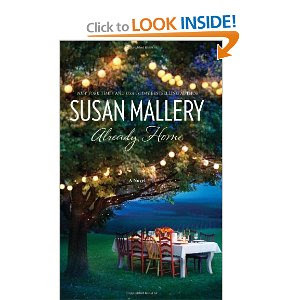 I have not read many books by author, Susan Mallery. 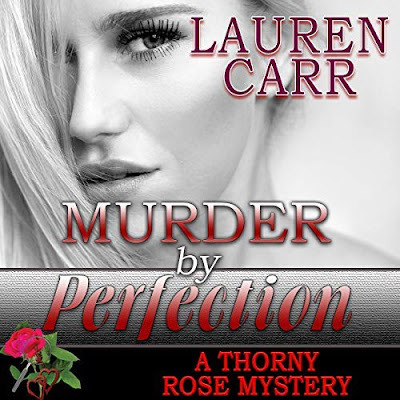 Just because, she writes a lot of contemporary romance stories. Not that there is anything wrong with that but I usually limit myself as to how many of these types of books I read a year. Though, when I read the book summary for this book, I thought it sounded interesting and worth my time. I like to read books that involve cooking. This book could have gone wrong but it ended up just right. Jenna could have been a downer but she was fun, though a little on the boring side but she was working on that, thanks to her mom and assistant, Violet. My favorite was Violet. She had a bubbly personality that was like a rainbow. Which I think she wore just about every color of the rainbow in some fashion or another. Cliff started out a nice guy but he ended up not so nice in the end. This was a bummer. It was nice to see somehow other than the main character, Jenna get all the attention. Already Home is like a slice of warm, apple pie…tasty and satisfying! Ten Beach Road scores a perfect ten in my book! Starcraft: Devil’s Due is out of this world! Cowboy Fever did make my temperature rise! Rock Bottom is rock solid!